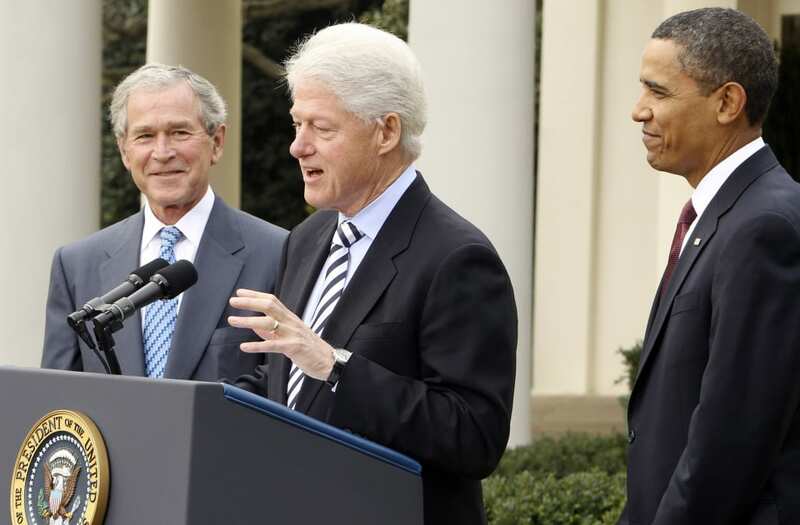 Now this might come as a shock, but presidents do more than just lead the free world. Many of them have impressive, unexpected hobbies. Bill Clinton, for example, loves playing tenor saxophone and has played before in public. He also loves to do crossword puzzles and has written clues for The New York Times crossword puzzle. Clinton isn't the only musically inclined President. Harry Truman played piano and even told the world that if he had been a better pianist he would never have been president. While many presidents count golf among their hobbies, Richard Nixon loved to bowl. He and his wife even had a one-lane bowling alley built in the White House's basement. George W. Bush has a unique hobby too. He loves to paint. Much like Corrine from this season's The Bachelor, Abraham Lincoln took naps. The thirtieth U.S. president, Calvin Coolidge, also loved to take naps, according to Forbes. Not all presidents had tame hobbies though. Forbes also reported that John Quincy Adams loved to go skinny dipping! This is the Naval Academy yearbook picture of a former president, can you guess who it is? Click through to reveal the answer. This precious portrait was taken in the 1800's, do you recognize that face? This president served as a five-star general before his time in the White Hosue. The president pictured here is posing with his older brother. Did that hint help? Click through for another one. Here is another picture of that president at a young age. Can you guess who this young high school student is? This adorable six-month-old would later become President of the United States, click through to see who. This teen violinist went on to serve as president for two terms. Can you guess who this ten-year-old boy is? Click to the next picture to see if you were right. This picture is from 1964. Click through to see who this dapper teenager is. When this picture was taken this future president was 21-years-old and owned a newspaper. This little 18-month-old grew up in Texas. Click through to see who it is. This nine-year-old future president was born in 1917. This Naval Aviator Cadet is also a US president. This well-dressed future president was born in Nebraska. This young basketball star would go on to serve two terms as president. This portrait features a US president who worked as a mining engineer before his time in the White House. This young man went on to become the 30th president of the United States. This president served as a lieutenant in the Mexican-American War. This handsome young man would go on to serve two terms as POTUS. This sixteen-year-old boy would go on to become the 20th President of the United States. Can you pick out the president in this picture? The picture was the father and son at Yale University when George Bush Jr. was a baby. We wonder what Donald Trump's favorite hobby is, besides Twitter.